Jane (Baird) Barry grew up in Nova Scotia, attending schools in Bedford and Halifax. David and the large Barry family made their home for generations on Saint John’s West Side. He graduated from St. Malachy’s. The couple graduated from St. Francis Xavier University with degrees in Science. They have made Greater Saint John their home, raising their family of five sons and becoming involved in numerous community groups since the early ‘70’s. In addition to their sons, they are proud of their five daughters-in-law and 15 grandchildren. Jane served as a School Trustee and later as MLA and cabinet minister for 12 years and chaired or co-chaired many community groups and New Brunswick legislature committees. She headed the Canadian Federation of University Women-Saint John, West Side Coop Preschool, Saint John Coop, Saint John Teen Pregnancy Committee and Salvation Army Red Shield Appeal and volunteered for United Way, neighbourhood groups and other community causes. David G. Barry, Q.C. was the Chair and CEO of the New Brunswick Securities Commission. He practised law for 37 years specializing in corporate and commercial law, tax and estate planning. He has served as Chair of the Canadian Law Information Council and a director of its successor, CanLII, a governor of the Canadian Tax Foundation and been active in the Canadian Bar Association. He received the designation ICD.D from the Institute of Corporate Directors, Rotman School of Business at the University of Toronto. At the community level he has volunteered extensively including serving as President or Chair of the New Brunswick Museum, Saint John Board of Trade, Enterprise Saint John, Saint John Airport Authority and St. Joseph’s Hospital Foundation. 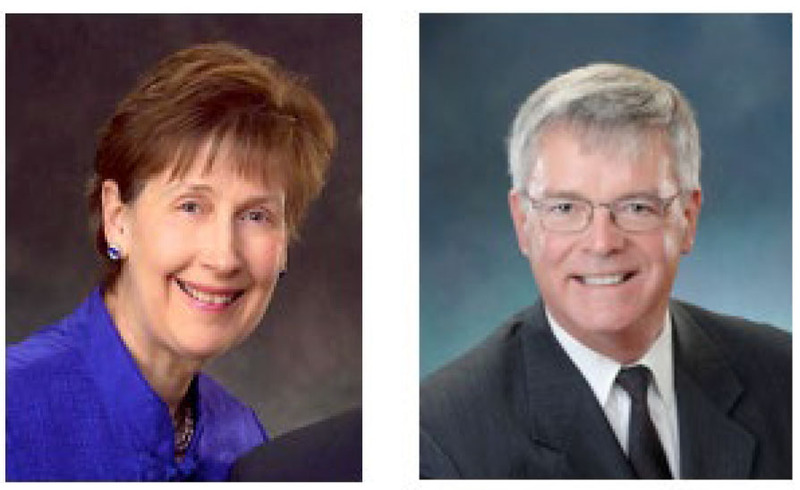 Recognizing that you lead by example, Jane & David established a fund to help support administrative costs and sustainability of the foundation and indirectly, its charitable activities. They appreciate a number of honours which they have received over the years. The Greater Saint John Community Foundation is pleased to have been entrusted with The Jane & David Barry Administrative Fund, which contributes to it annually. Past and present board members commend the Barrys for encouraging philanthropy and sustainability for the foundation. Donations to Jane and David Administrative Fund are welcome at any time.